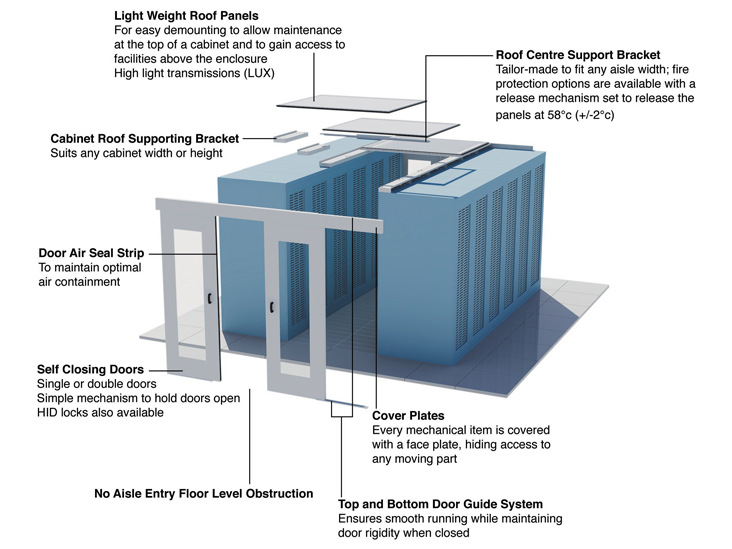 The corridor is fully enclosed to maximise the efficient use of cold air. Rigid enclosure of the cold aisle includes transparent ceiling panels, optimizing LUX levels, and end of aisle self-closing robust sliding doors. Keyzone custom solutions offer an easy and usable system that can be adapted to suit individual environments and can be evolved to meet future requirements. As you would expect from a Keyzone product, the system is manufactured with the highest level of care and attention to detail, to high standards, delivering you a robust, effective and durable solution for your data environment.